Over the years, I've found that I particularly love designing patterns and free motion quilting, but I do really enjoy all the parts of the quilting process (well, maybe except for pressing). Quilting provides a much needed creative outlet for me and I've also enjoyed making quilting friends from around the world through my Instagram. When I'm not at my sewing machine, I love to travel, go on family walks and bikes rides, and take naps. 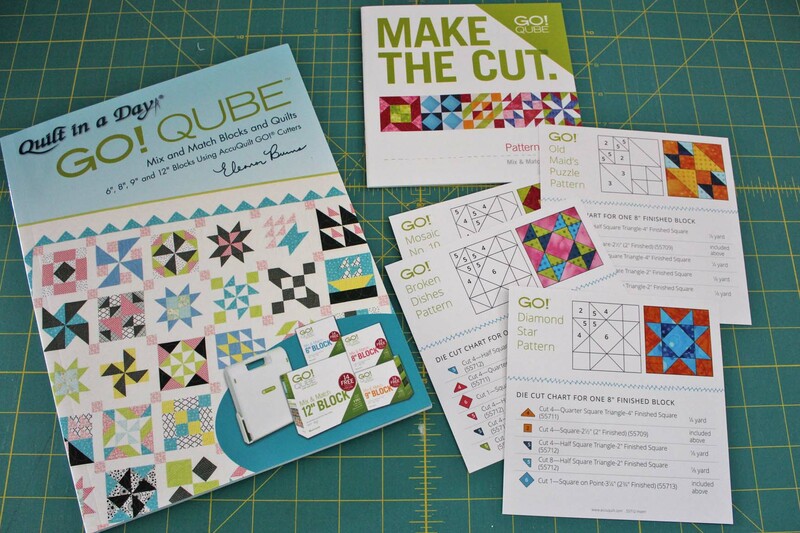 Recently, AccuQuilt got in touch with me to see if I'd be interested in trying out their GO! Cutter. I have seen AccuQuilt products online and in magazines, but had never had the chance to actually use one. 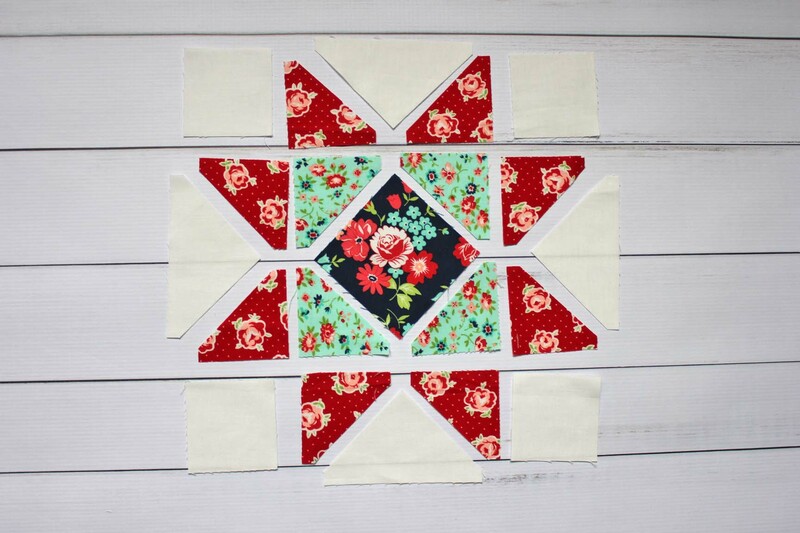 I love innovative quilting products and was thrilled to try out one of their fun fabric cutting systems. AccuQuilt sent me the Ready. Set. GO! 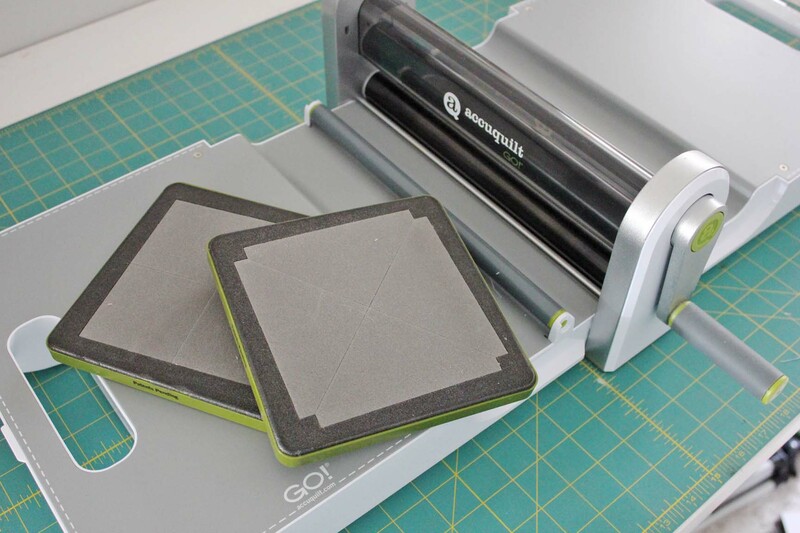 Ultimate Fabric Cutting System, which includes the GO! Fabric Cutter, GO! Qube 8” Mix & Match Block, AccuQuilt Quilt in a Day book by Eleanor Burns, and some additional accessories. The GO! Qube 8” comes with eight different dies and virtually limitless options to combine together into blocks. One thing I was concerned about before receiving the GO! fabric cutter was the size. My sewing space is shared with my kids' play area and while I try to keep things relatively organized, there's not a lot of extra space. After opening the Ready. Set. GO! box, I was pleasantly surprised to see how compact it was when folded up. Additionally, it can be stored upright, which definitely helps when looking for a storage place. I also love that it closes with a magnetic closure. It's really easy to open or close and it's lightweight enough that I can quickly get it set up or put away. I haven't used a fabric cutting system previously, so I really appreciated the easy to follow instructions given. The GO! Cutter includes a nice booklet with basic “getting started” information so I could quickly read over how to place fabric correctly and how the dies should be inserted into the machine. There was also a DVD included, although I felt that the little booklet was sufficient for me to get going with the GO! Cutter. In addition to instructions on how to use the machine and dies, there are also a lot of block ideas. I didn't realize the Ready. Set. GO! System would come with a special GO! Qube Quilt in a Day book by Eleanor Burns, so that was a special treat. There are also several block idea cards that show how to make blocks and what dies are needed. I had more than enough inspiration and was more excited than ever to get going with some dies and fabric. After familiarizing myself with the instructions and the GO! Qube 8” I had, I saw a block idea card that was a variation of the Sawtooth Star and I knew right away that I wanted to try out that design first. The dies needed were clearly labeled on the block card, so they were easily located within my GO! Qube. 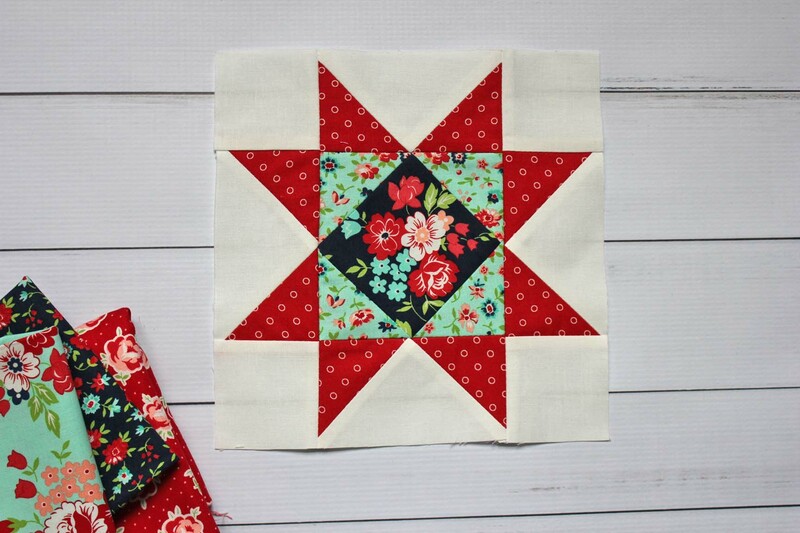 I gathered some of my favorite Bonnie and Camille quilting cotton fabric scraps and quickly decided on a navy floral that I wanted to fussy cut for the center of the star. See some of the projects you can make with a GO! Qube Mix & Match Block here! I got the fabric centered on the die, ran it through the machine and loved seeing that first fabric square come out just perfect! For the next pass, I wanted to verify that the machine could actually handle six layers of fabric. Turning the handle for six layers of fabric really wasn't too much harder than for one layer, so I was pleased about that. All of the pieces came out just fine and there weren't any fabric pieces still attached where they shouldn't be. I continued on with cutting out the pieces for my block and it didn't even take me five minutes to finish the cutting! And to top it off, I knew I hadn't made any cutting errors (which was a really nice feeling). I soon realized that having pieces cut from a precise machine was definitely superior to my own rotary cutting when it comes to accuracy. I loved having triangles cut to just the right size—no cutting larger and then sewing and trimming down to size because everything is already cut perfectly. Plus, the triangle points are all notched, so no need to trim “dog ears” off of sewn triangle units (yippee!). I quickly finished up my quilt block, but I couldn't stop there! I immediately cut four more in a similar colorway so I can combine them all into a finished project. 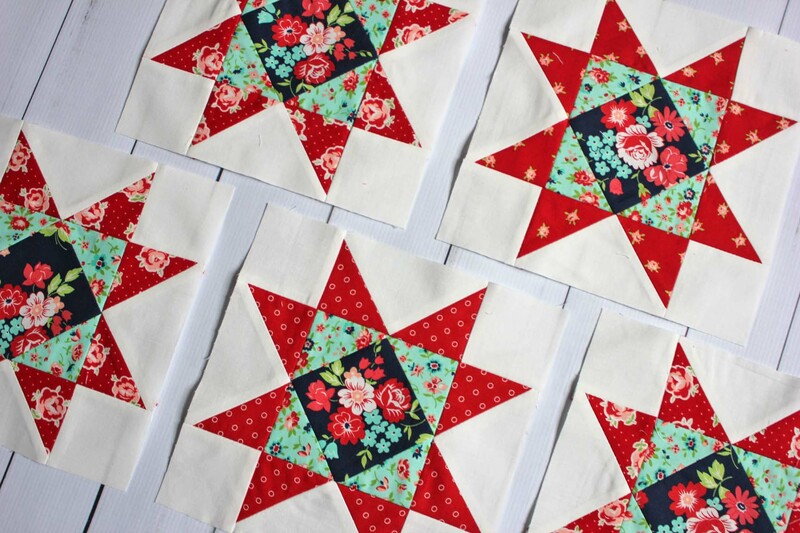 I just love how these stars turned out with their floral fussy cut centers and am planning on turning them into a table runner. Although, I have been known to change my mind multiple times, so you'll have to stay tuned to see what these stars end up becoming! Check out more work from Kristina and other talented quilters in this inspirational patterns post! Thanks for following along with my first impressions of the AccuQuilt GO! System. I'll be back soon to share my finished project and talk about what's next on my list of AccuQuilt projects. Don't forget to subscribe to our blog so you don't miss an update from Kristina or any of our other talented GO! Getters.